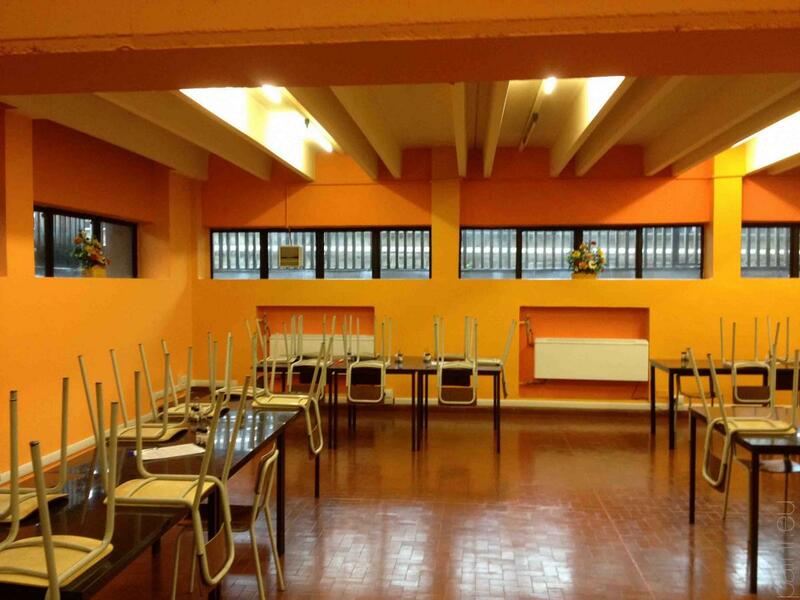 FASAC / cantine | paini. Actually the RT60 was about 3,6 sec. at med-high frequencies. sound absorbing panels were put on the ceiling in order to let them work at both side. We also left some space between the original structure and the panels in order to let the light go out and improve a nice atmosfere. Additional LED lights were positioned and walls were repainted with a new softer color. Also 3 sound absorbing panels with paintings (by painter Mario Giansone) were positioned on the wall. With all these acoustical solutions we obtained a RT60 = 1,2 sec. and now people are happy to stay and eat! Special thanks to Federico Curti, Giuliano Martinelli, Anna Salzano and all the kitchen stuff for the great support.